If you have been to a wooded area, you might have already seen some edible mushrooms that grow on trees. These are no ordinary mushrooms that you can just take for granted. They contain vitamins﻿, minerals, proteins and antioxidants that can boost your health. Are you curious what these edible mushroom﻿﻿s that grow on trees are and how they look like? Feel free to continue reading. 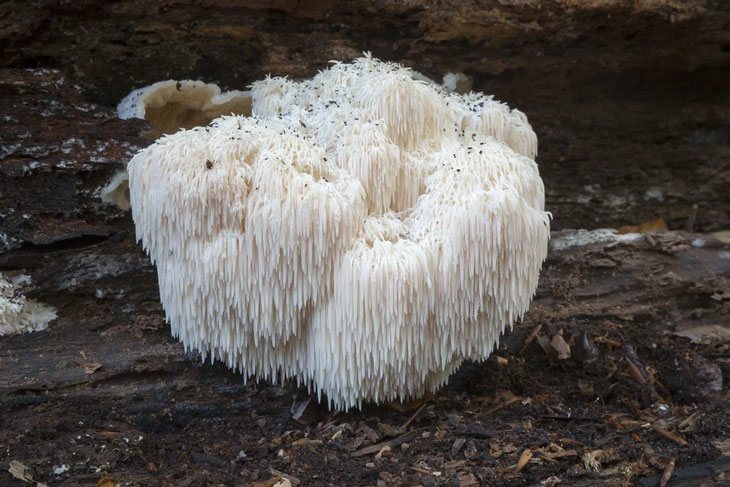 Known also as Lion’s Mane, Hedgehog and Bear’s Heads, Bearded Tooth mushrooms are a tasty treat. They resemble crab meat both in texture and taste. This type of edible mushrooms grows in shady forests. You can usually see them in white strand groupings that resemble more like fur. Bearded Tooth mushrooms have a distinctive appearance. They look like cascading white icicles that can grow up to ten inches wide. Their icicles may grow up to 2.75 inches long. When young, you can see Bearded Tooth mushrooms in pure white. They turn yellow with age. Regardless of their color, their flesh remains firm and full of flavor. Bearded Tooth Mushroom does not resemble any other poisonous or non-poisonous mushroom. When you find one, you can be confident that it is the Bearded Tooth you are looking for. Bearded Tooth mushrooms tend to grow higher up. You can rarely see them growing around the base of trees. If you focus on searching mushrooms on the ground, you might miss getting these tasty treats. The Bearded Tooth is a popular medicinal mushroom. It a known cure for stomach problems. Modern research also suggests that Bearded Tooth mushrooms have antibacterial and anti-inflammatory properties. They may also support the immune system in fighting against certain types of cancers. You can grow Bearded Tooth mushrooms in spawn plugs. These are small wooden dowels that have the spawn. You’ll need to drill holes in oak logs, or beech then pounds the dowels into the holes. Using this method, it could take several months before your first harvest. Alternatively, you may also grow Bearded Tooth Mushroom using commercial kits. These kits are already infused and ready to produce in a matter of weeks. Between these two methods, you get more mushrooms over several years with spawn plugs. Chicken of the Woods are mushrooms known for their meaty and lemony taste. Some people also say that this kind of mushroom tastes like its namesake, a chicken. Others people also describe the flavor as being like that of a lobster or crab. If you have not yet tasted this kind of edible mushroom, it’s up for you to judge. Nevertheless, Chicken of the Woods can be a great substitute for meat in a wide range of dishes. One of the notable features of Chicken of the Woods mushroom is its rubbery and moist body. It may come in sulfur-yellow to orange in color. The individual shelves of this type of mushroom can grow between five and 25 centimeters across. This edible mushroom grows in brackets, some as large as 100 pounds. As it gets old, these brackets become brittle, pale and mildly pungent. Chicken of the Woods commonly grows on woods of trees such as oak, yew, eucalyptus, willow, and chestnut. You can also find it growing on or at the base of dying or dead trees, but never in fields or on the ground. Sometimes, these mushrooms come back year after year on the same spot. They thrive from late spring to early autumn. There are some health benefits from eating Chicken of the Woods mushrooms. It contains antioxidants which are great for our overall health. Some studies also suggest that it fights against methicillin-resistant Staphylococcus aureus. A study also shows that it is the most active inhibitor of the HIV-1 reverse transcriptase. Chicken of the Woods may sometimes cause gastric distress with some people. To avoid stomach problems the first time you try it, only taste a small piece and see how it will affect you. Also, avoid Chicken of the Woods that grows on conifers, cedar trees, and eucalyptus. Mushrooms that grow on these trees may have toxic components. The Hen of the Woods, popularly known as Maitake mushroom, is a popular edible mushroom. It compliments a wide variety of dishes because of its tender texture and strong flavor. 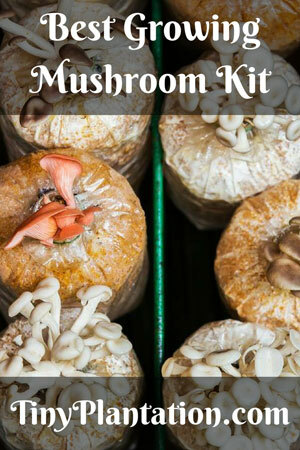 You can use it to replace button mushrooms in many recipes. Hen of the Woods is recognizable because of its large ruffled clump that can grow to as heavy as 100 pounds. It has feather-like caps that overlap each other like a ruffled white chicken. The color of this edible mushroom ranges from gray to brown. While it is widely distributed, it can be tricky to hunt for this mushroom. Chicken of the Woods blends very well with the autumnal foliage. You can commonly find this type of mushroom growing on tree stumps or at the base of trees. It thrives during late summer through autumn. 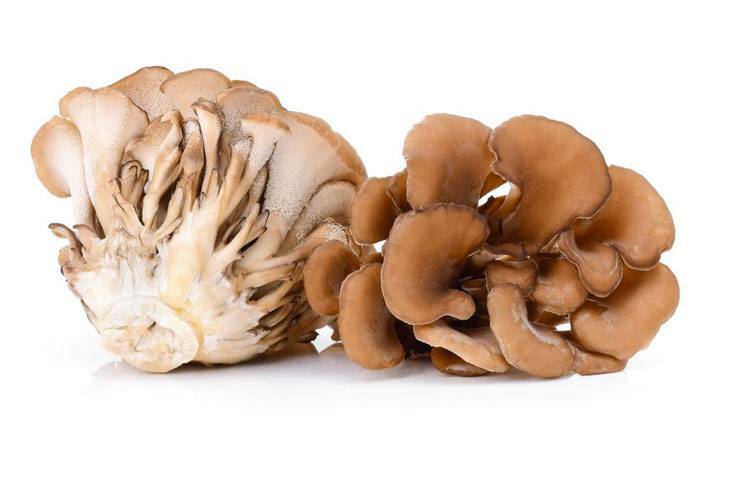 Hen of the Woods mushrooms promotes longevity. It inhibits certain types of cancers particularly colon cancer. It also helps boost the immune system. Moreover, it allows people with Type 2 diabetes to manage their blood glucose levels. It is important to note the Hen of the Woods may look like several other non-toxic mushrooms. Its look-alike includes the black-staining polypore that grows on buried wood. It also looks like the umbrella polypore that contains grayish caps. Young Old Man of the Woods mushrooms is truly delicious. However, as they age, they become soggy, and their flavor gets lost. It will remind you of the naphthalene mothballs. With its unique appearance, you’ll least likely confuse Old Man of the Woods with any other mushroom. It is available in gray and black tones. You can also see its shaggy, flattened and coarse scales that cover its stem. Like most fungi in the Boletaceae family, it has a spongy surface containing pores under its cap. When exposed to air, its interior turns from whitish to reddish before becoming black. The Old Man of the Woods commonly grows in most elm, oak, and poplar groves throughout summer time. There are limited resources as to the known health benefits of eating Old Man of the Woods. 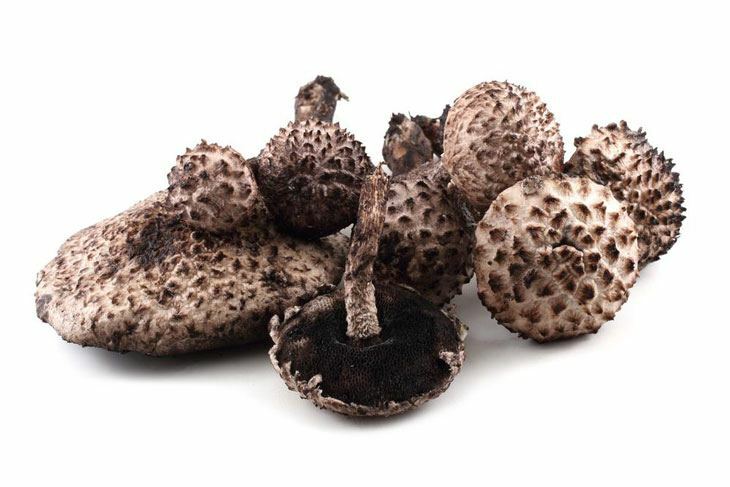 But since it is a type of mushroom, you can safely assume that it has numerous health benefits. This may include improved nutrition and improved immune system function. The scientific name of this edible mushroom is Strobilomyces floccopus. This which is roughly translated to mean "wooly mushroom that looks like a pine cone." O﻿﻿yster Mushroom are perhaps one of the most popular and widely cultivated mushrooms. They are great in soups, stir-fried and sautéed. It is easy to recognize Oyster Mushrooms because of their oyster shape which looks like a broad fan. They normally appear as convex or semicircular in shape. These fans may grow up to 12 inches in width and from ½ to 1 ½ inches in thickness. The color of the cap can range from white to gray or tan to dark brown. Oyster Mushrooms also have gills that are white to cream in color. Moreover, this edible mushroom has a white, thick and firm flesh. Oyster Mushrooms feed on dead material, more commonly in wood. You can easily find them growing on dying trees or deciduous hardwoods beech and aspen trees. Sometimes, you may also find them in conifers. 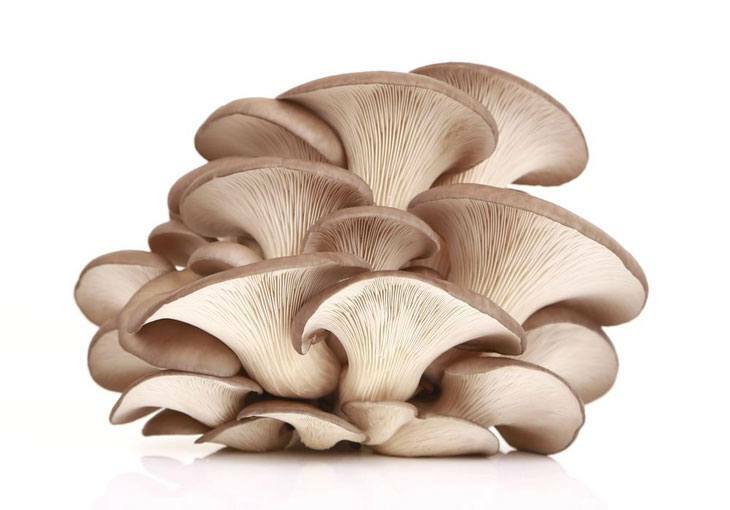 Research by the University of Pennsylvania shows that Oyster Mushrooms are a good source of ergothioneine. It is an antioxidant that also helps lower the risk of systemic inflammation. Moreover, Oyster Mushrooms are rich in protein, fiber, calcium, folic acid. They also contain vitamin C and D, iron, potassium, selenium, and phosphorus. All these can help boost your overall health. Oyster Mushrooms have certain look-alikes. These include the Golden Oyster, King Oyster, Phoenix Oyster and King Tuber. Fortunately, all these mushrooms are also edible. Chanterelle Mushrooms are popular in the French cuisine since the 18th century. They are served in the tables of nobility. What makes this edible mushroom popular is their unique taste and aroma that is difficult to describe. Some people describe them to have a fruity odor while other say they have woody an or earthly fragrance. Also known as girolle, Chanterelle Mushrooms have color a that ranges from yellow to deep orange. They are easy to spot as they can grow as large as five inches in diameter. Their wavy and funnel shape are also notable. They have false gills that look like wrinkles with blunt edges. These gills run down from the stem, and they have the same color as the rest of the body. Chanterelle Mushrooms grow in the mossy coniferous forest. They are also common in beech forests. If you want to hunt for Chanterelle Mushrooms, it is best to do it from late spring through late summer until early fall. 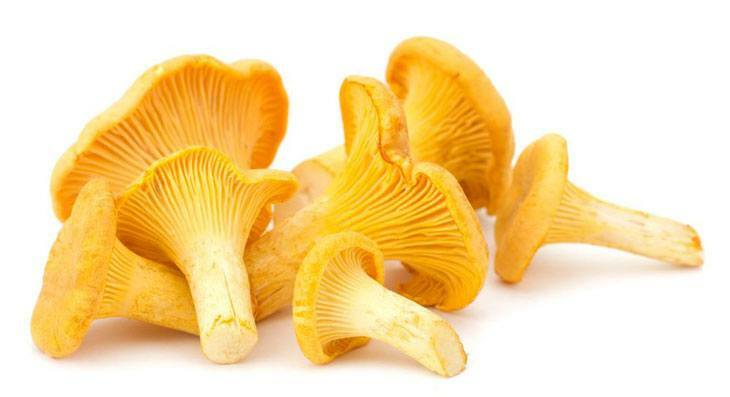 Apart from its unique taste, Chanterelle Mushrooms are also a good source of vitamins, minerals, and nutrients. They are rich in dietary fiber, iron, copper, potassium, manganese, phosphorus and zinc. Moreover, these mushrooms also contain vitamin D as well as vitamin B2, B3 and B5. If you have been reading about mushrooms, you might have already heard about the poisonous Jack O’ Lantern mushroom. One easy way to identify one over the other is that Jack O’ Lantern mushrooms have real gills and they grow in large clusters. Chanterelles mushrooms have false gills. They also rarely grow in dense clusters. 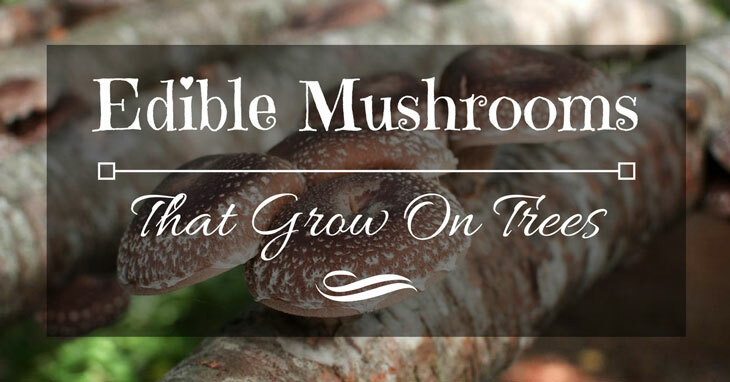 How did you find our list of 6 Bizarre and Shocking Edible Mushrooms that Grow on Trees? Would you like to try any of these edible mushrooms? You can make your next outdoor adventure more fun by hunting them. You’ll not only enjoy the experience, but you will also be rewarded with a delicious treat at the end of the day. Just be careful about getting the poisonous kind. If you have any questions about this article or would like to suggest a new topic, feel free to tell us in the comments section. Please do share this article if you find this informative.